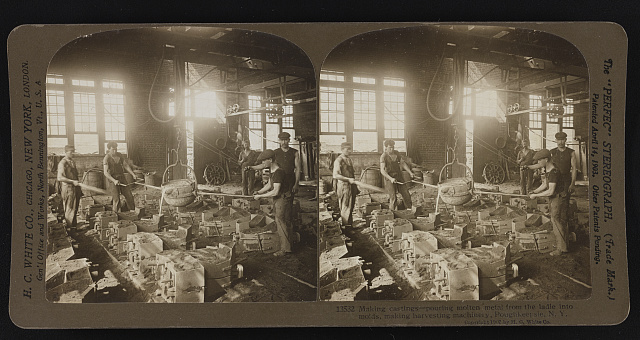 Making castings--pouring molten metal from the ladle into molds, making harvesting machinery, Poughkeepsie, N. Y. 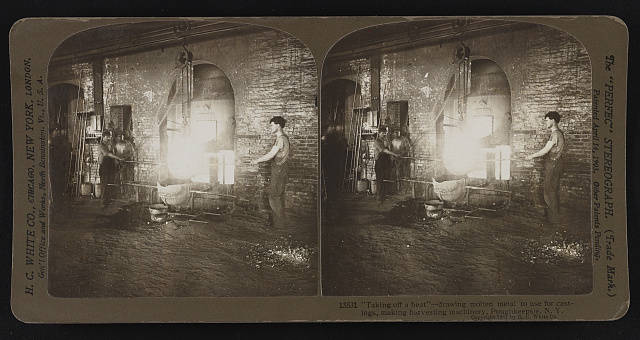 "Taking off a heat"-- drawing molten metal to use for castings, making harvesting machinery, Poughkeepsie, N. Y. 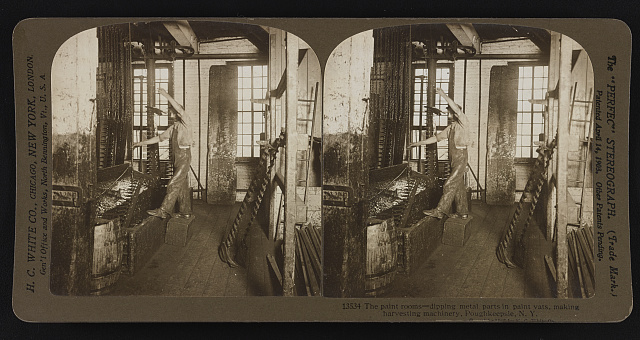 The paint rooms--dipping metal parts in paint vats, making harvesting machinery, Poughkeepsie, N. Y. 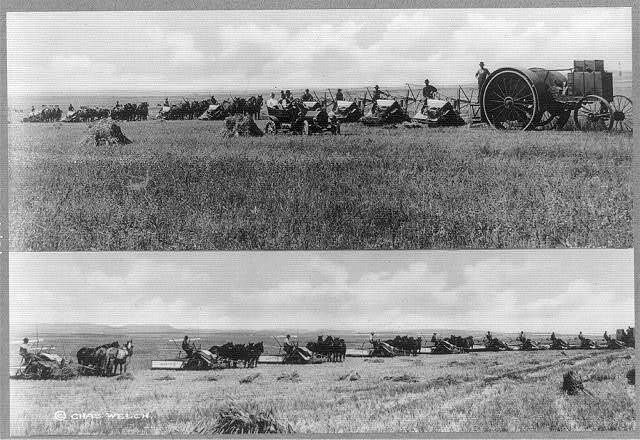 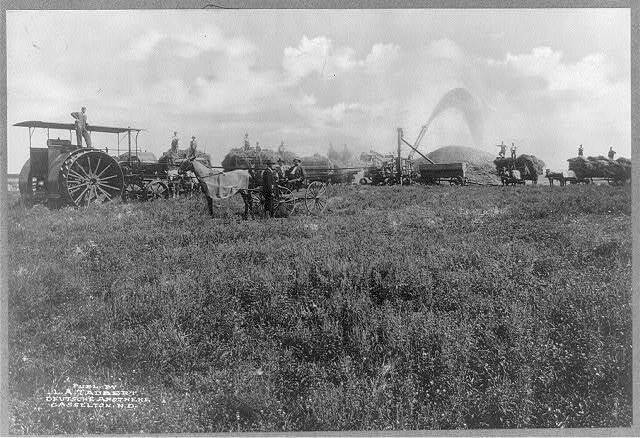 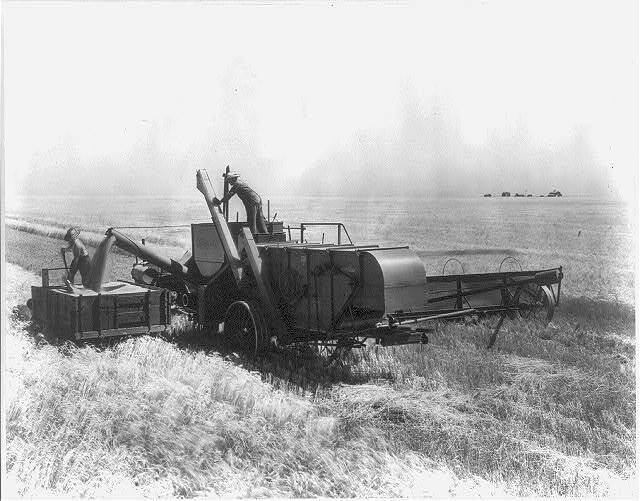 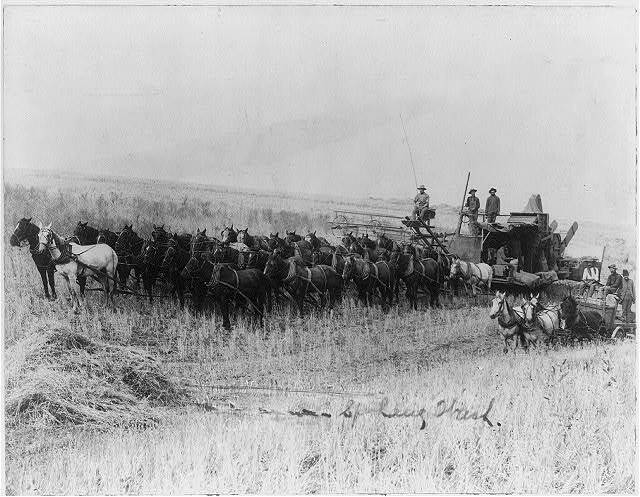 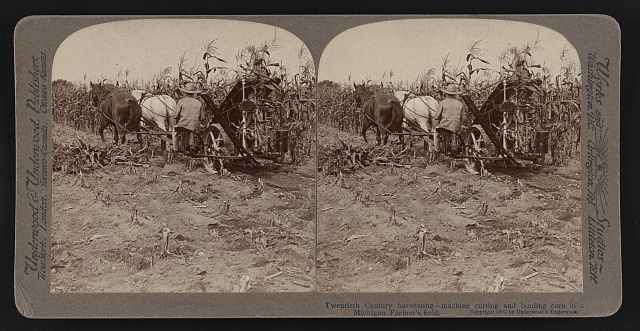 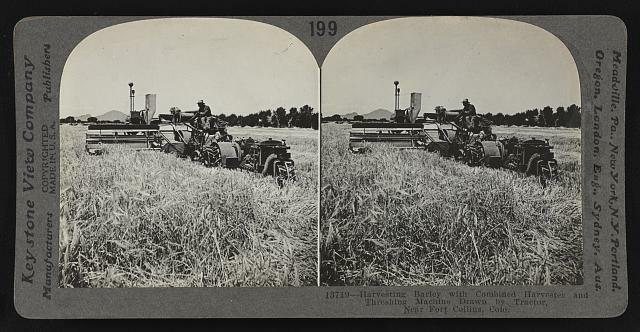 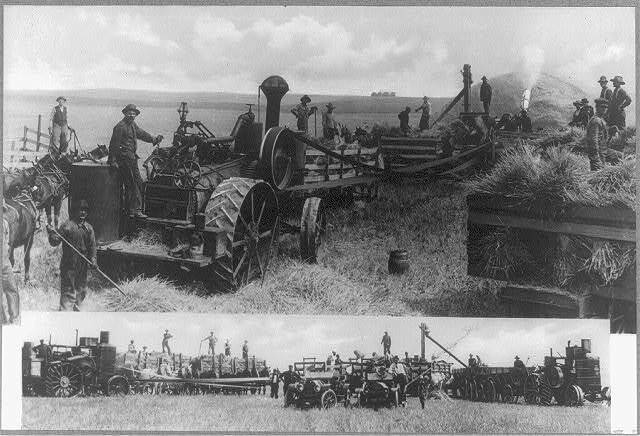 Harvesting barley with combined harvester and threshing machine drawn by tractor, near Fort Collins, Colo. 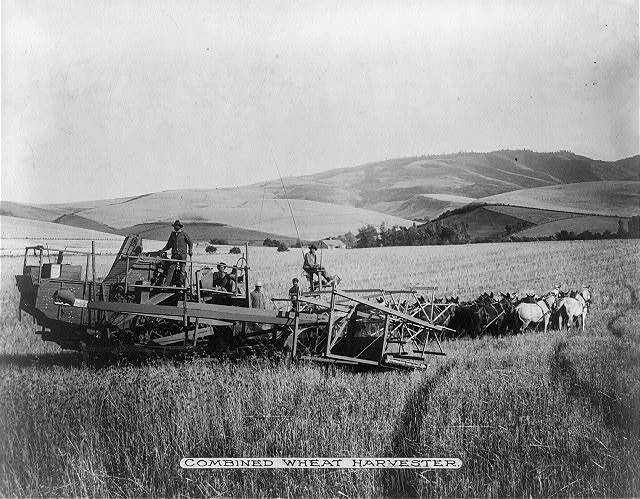 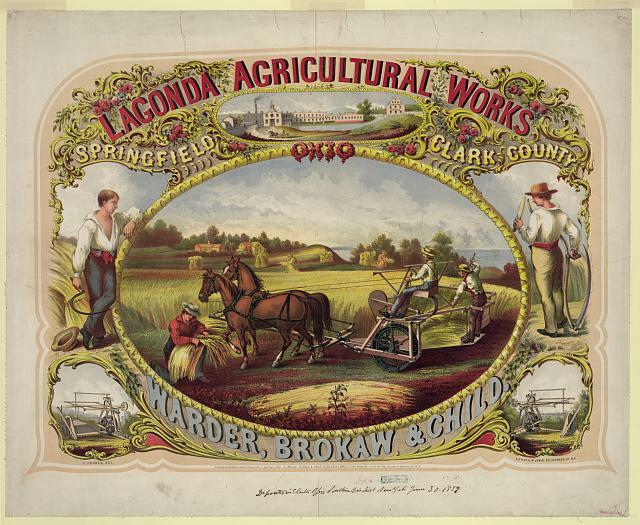 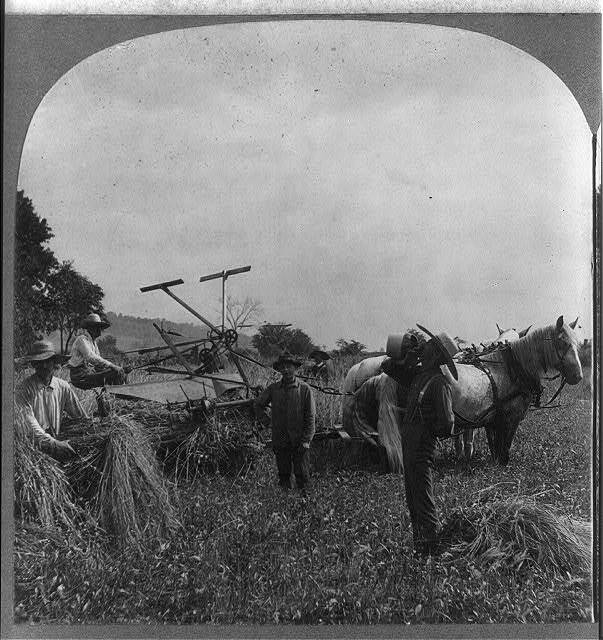 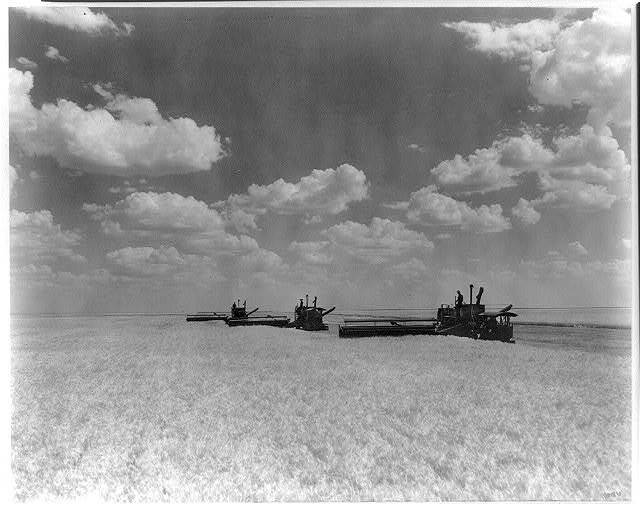 Cutting wheat with reaper and binder, Pennsylvania, U.S.A.